Trust issues, leadership missteps and ethics problems can threaten any organization, impact market value and cause irreversible damage. Frank C. Bucaro helps leaders at the best and most admired companies skillfully navigate the high road to success. His unique career path from the classroom to the boardroom began a number of years ago when a succession of high profile media reports captured his attention. While still a teacher of moral theology, he became increasingly aware that problems relating to unethical practices in the marketplace seemed to be on the increase. Believing that ethics and values had the power to increase business success rather than impede it, Frank left teaching and formed a business partnership offering keynotes and seminars. The transition to business owner was nearly seamless with the introduction of his first keynote entitled HOW DO YOU SPELL SUCCESS? E-T-H-I-C-S! Word spread about his entertaining and humorous approach to the serious subject of ethics and soon large and small organizations, Fortune 500 companies and associations in the USA and Canada were contacting Frank about his programs. His programs are a natural fit with organizations interested in reinforcing their commitment to ethics and values and reducing vulnerability to costly ethics and compliance problems. He is a business owner and author of the book TRUST ME! Insights Into Ethical Leadership. His articles have been published in a variety of industry publications and in ethics and compliance magazines such as Compliance & Ethics Professional, Corporate Compliance INSIGHTS, ETHISPHERE and Risk & Compliance (UK). A member of the National Speakers Association, he has earned their designation of CSP which stands for Certified Speaking Professional and he was also presented with NSA’s prestigious CPAE Speaker Hall of Fame Award for excellence and professionalism, an award held by fewer than 220 people worldwide. 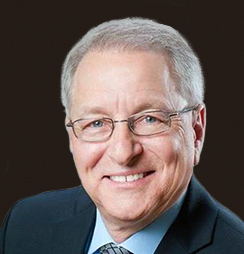 A few of the organizations that have invited Frank to speak at their meetings include the Association of Government Accountants, Bayer Healthcare, Canadian Pacific Railway, the Ethics and Compliance Officer Association, Global Compliance Client Advisory Council, the Human Resources Professionals Association of Ontario, New York Life, Noble Energy and RE/MAX International. You may download Frank’s photos for use in your marketing materials in promotion of Frank’s program at your organization. Please take a few minutes to complete this form and send it to Frank C. Bucaro & Associates, Inc. via mail or email. Please click here for Frank’s AV requirements. This may change depending on the format and setup of your event. Please contact Frank directly to discuss further at frank@frankbucaro.com or 800-784-4476. Here you will find an introduction of Frank to use at your event. If you would like it customized for your specific event, we’d be happy to discuss details. Please contact Frank at frank@frankbucaro.com or 847-778-5498.